Don’t expect SAPMA to provide important market indicators for your company’s future planning if you don’t supply meaningful statistics for SAPMA to analyse, Deryck Spence, executive director of SAPMA, warned members. Both Spence and his UK counterpart, Tom Bowtell, chief executive of the British Coatings Federation (BCF), spelt out the immense value of annual individual company statistics to help the two associations provide a comprehensive service to members. But, whereas British members appreciated this give-to-receive situation when it comes to statistics, SAPMA members are still leaving its official industry body in the dark. “It is, frankly, an appalling and potentially self-destructive apathy that we are experiencing in South Africa,” Spence commented. He told the AGM that only 13 of 45 SAPMA members approached for statistical input on their companies’ performance had bothered to respond. “And then SAPMA could see that in many cases the responsibility for providing annual statistics seemed to be lodged with junior staff members. “The annual statistical input we receive is so repetitive that it is virtually of no value for an accurate assessment of market trends or other informative aspects. Without statistics, SAPMA cannot answer members’ questions, nor can we disseminate information that could, for example, help members identify gaps in the market,” he stated. Bowtell said members should remember that at both SAPMA and the BCF, the statistical information provided remained confidential and did not provide strategic information to the suppliers’ competition. “At the BCF, I personally do not even see the stats provided – the analysis is done by an independent body. But the market feedback we subsequently provide to members is regarded as valuable by no fewer than 78% of our members,” said Bowtell. “Statistical analysis of the annual performance of the coatings sector shows individual companies if they are operating intelligently or merely groping in the dark. The information these reports could contain is that SAPMA could provide, for example, the average price of raw materials so that you would know if you are buying well. 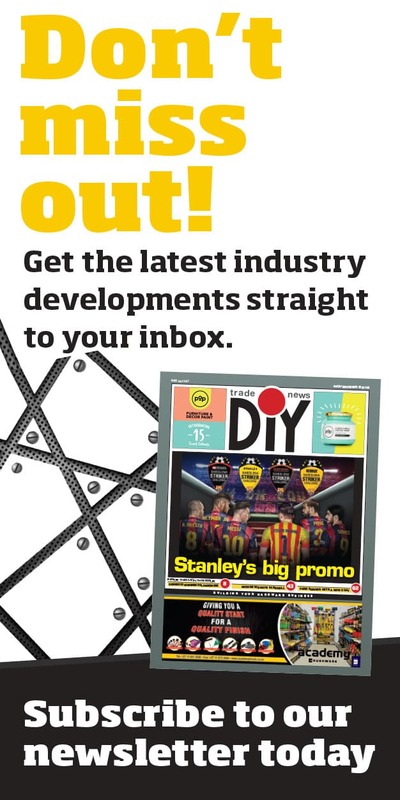 It would also give you ammunition to justify price increases to customers, see how other companies in the industry are coping with health and safety issues, or complying with environmental preservation pressures. It would also explore what the level of confidence is within the industry you and your competitors operate in. These are just a few vital reconnaissance results no company intent on survival can do without,” Bowtell added. Deryck Spence, executive director of SAPMA and Kedibone Maroane, Acting CEO of CHIETA. The SA Paint Manufacturing Association (SAPMA) has, in collaboration with the Chemical Industries Education and Training Authority (CHIETA), embarked on a major initiative to alleviate unemployment by not only providing paint application training but also helping to find work for certificated students. The core of the scheme, which will be funded by the CHIETA, will be an accredited nine-day training course in the correct preparation and application of paint provided by SAPMA’s training arm, SA Paint Industry Training Institute (SAPITI). 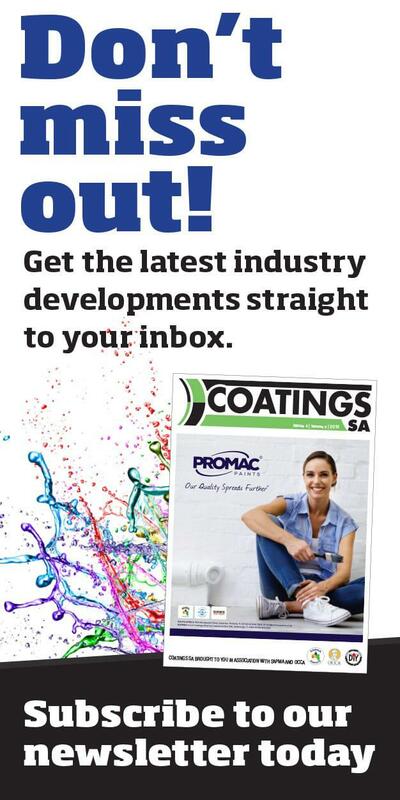 “The names of students who have successfully completed the training will then be placed in a Skills Bank from which the certificated painters can be traced and their new expertise made available to SAPMA paint contractor members who will provide them with employment,” SAPMA executive director, Deryck Spence, explained. “CHIETA has generously agreed to also provide funding for the work experience that job placement of the accredited paint applicators will bring,” he added. For CHIETA, it helps to fulfil the Authority’s obligation to the Department of Higher Education and Training to train the unemployed. For paint applicators, it removes the onerous task of finding skilled applicators. Paint applicators now also no longer need to spend time and money to train new staff. For SAPMA, it fulfils the training objectives it has always had as a major constitutional mission. potential trainees and are ready to roll with this campaign,” he explains. 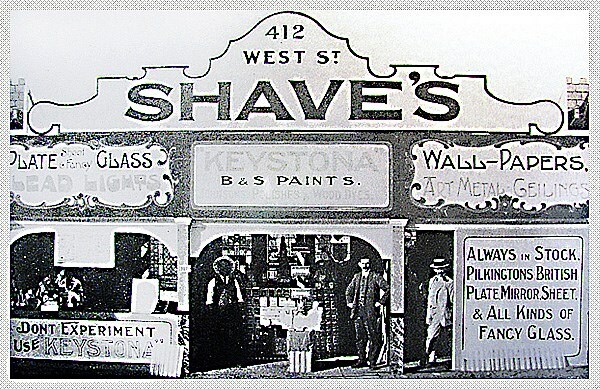 SAPMA member, Shave Paint & Décor started operating 118 years ago in a small shop in Durban. Today, the company is still going strong with Shave’s Nick Shave serving as chairman of the SAPMA Retail Committee. 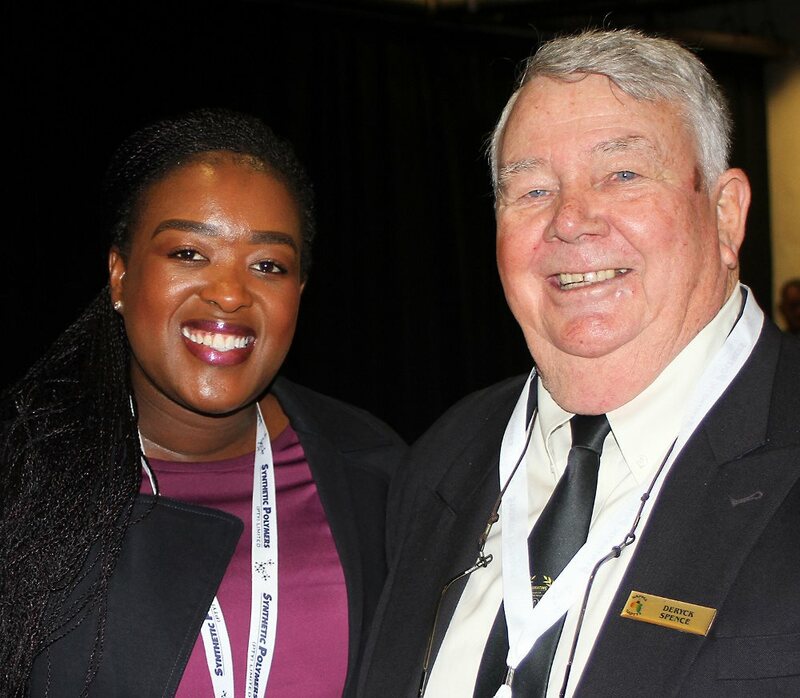 The SA Paint Manufacturing Association (SAPMA) celebrated its 80th anniversary at the recent annual general meeting held in Sandton. During the meeting, Deryck Spence took members down memory lane with an audio-visual presentation of SAPMA , titled ‘Through the Years’ with some historical pictorial mementoes of an association that has played a major role in the success of the local coatings sector for the past eight decades. In the background, Satchmo sang What a Wonderful World. AGM4: Terry Asmore (right), who has retired after eight years as chairperson of SAPMA, pictured wishing his successor, Aggie Argyrou, well in his new post. 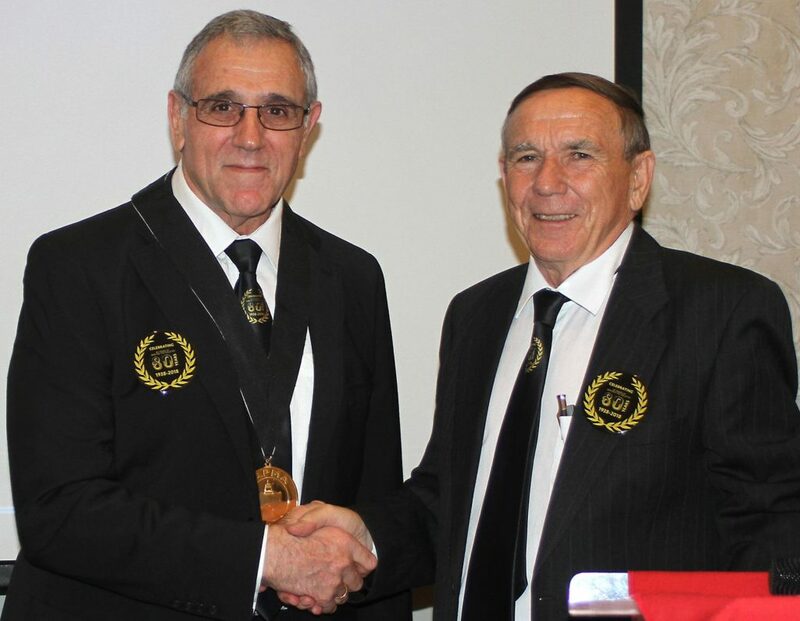 Aggie Argyrou has been elected as chairperson of the SA Paint Manufacturing Association (SAPMA) at the association’s recent 80th annual general meeting. Aggie succeeds Terry Ashmore who has retired from the post after eight years in the chair. The new SAPMA leader has served as vice-chairperson of SAPMA since 1999. He spent his school years in Benoni and qualified as a Chartered Accountant at the University of the Witwatersrand in 1974. The entrepreneurial side of his career started with a partnership with his brothers in a major fast-food outlet before becoming a founding shareholder and financial director of Warrior Paints in 1987 – a position he still holds. “Over 50 years ago I began my career in this industry as a humble lab assistant with great ambitions of changing the world. Well that didn’t happen. But along the way I did discover that I could have some influence in the ‘World of Paint and Coatings’. Dedication, no matter what position one holds in a company, and tackling challenges with enthusiasm, is my secret to success. Let principles and ethics be your guidelines while honouring the SAPMA Code of Conduct,” said Ashmore. “I am so grateful to Deryck Spence for accepting the position of SAPMA executive director, although I am not sure he was fully aware of the consequences at that time. Deryck is a real mixture of bulldog and terrier, when he gets his teeth into a project he does not let go! Deryck has been the Captain of the SAPMA /SAPITI ship for the last eight years with my position more like an Admiral, watching progress through binoculars from the shore. The entire SAPMA team is enthusiastic, energetic and an absolute credit to our industry. I thank each one for making my position sustainable,” Terry added to tumultuous applause. SAPMA wishes Terry decades of happiness as he now has a little more time to pursue one of his passionate pastimes – travel. Bon Voyage, Admiral! SAPMA’s new executive committee, elected at the Association’s recent 80th annual meeting, posed for a team photo. Pictured (from left) front row: Sanjeev Bhatt, vice-chairperson (Synthetic Polymers); Aggie Argyrou, chairperson (Warrior Paints); Terry Ashmore, outgoing chairperson (Honorary Member); and Shaun Benn, vice-chairperson (Dulux). Middle row: Danny Grady (OCCA), Jag Kayan (Ferro Coatings Resins), Salvan Govender (Medal Paints), Bobby Bhugwandin (Kansai Plascon), Madeleine du Toit (Prominent Paints), Lynn de Beer (Nampak Food Division), and Nadine Pretorius-Makan (Kansai Plascon). Back row: Tertia Kahts (Acti-Chem), Simon Stekoven (Duram Paints), Patrick Johnson (Stoncor), and Debajit Shome (Union Colours). Exco members absent at the AGM: Johan Joubert (Promac Paints), Willem van Heerden (Beckers Industrial Coatings), Philip Green (Mirmac), and Paul Hadjiapostolou (Rhine Ruhr).